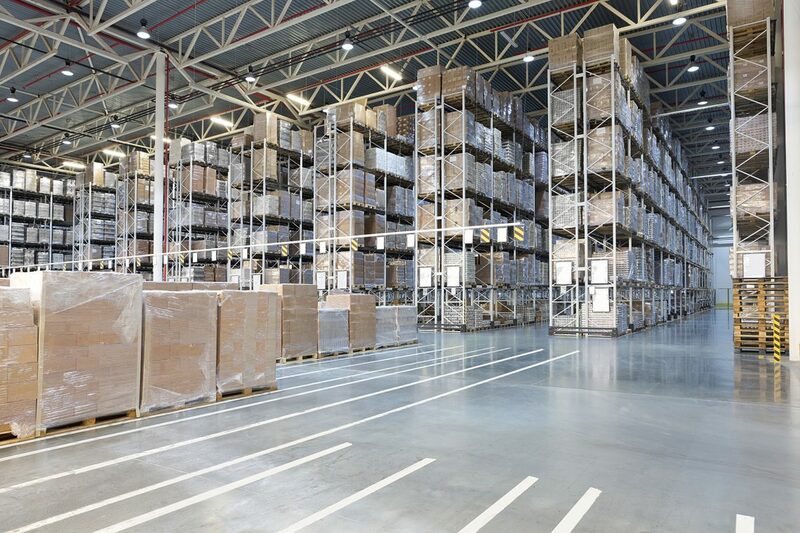 Using proper pallet racking systems can help companies operate more efficiently by improving material flow and increasing usable vertical space. However, pallet-rack safety is a critical issue for any company using one of these complex systems. Accidental damage in an industrial facility is inevitable, unfortunately. Damaged pallet-rack systems are particularly dangerous. They can topple, damaging products, facilities, and equipment, or, worse, injuring people. Injuries from collapsing pallet-rack systems are often severe—and sometimes fatal. Every employee deserves a safe working environment. That’s why Conveyer & Caster has compiled a list of helpful dos and don’ts for how to use your pallet-rack system properly. These tips will help ensure the safety of your most important asset—your employees. When choosing a new system, your facility’s physical space is a major consideration. It will help determine the type of pallet-racking system that’s right for your application. Also, consider the placement of the system in that area. For example, if you’re using a forklift to move and rearrange pallets, make sure there’s enough space to maneuver around the racking. You’ll want to check your local fire code. Your municipality may require a sprinkler system be installed within the pallet-rack system, depending on what you’re storing, how much you’re storing, and the size of your system. It’s also important to get a racking system that can handle the correct amount of weight for the type of materials you’re storing. Always be mindful of your system’s capacity. Adding capacity labels to your beams is a great way to avoid overloading. Have questions about pallet rack? Ask away! Teardrop Style Pallet Racks – Boltless, teardrop pallet-rack systems feature closed-tube formed uprights and beams. Closed-tube upright construction helps prevent damage from impact and sideswipe while loading and unloading. Teardrop beams and uprights interchange with almost any manufacturer’s teardrop system. Structural Style Pallet Racks – For super high-capacity applications, like die and tooling storage, structural steel pallet racks are the way to go. Beams are bolted to uprights with bolts at each end to provide shelf capacities up to 20,000 pounds. Double Deep Pallet Racks – Double deep pallet-racking systems use 11-foot aisles but include a double deep access system. This is achieved by placing two sections of pallet rack back to back, effectively increasing storage capacity while maintaining one access aisle. Push Back Pallet Racks – Push back pallet racking is an alternative method that is continuing to grow in popularity. This system can go two to six pallets deep and uses the first in, last out product flow system in any given lane. Push back pallet racks tend to give building owners/operators more flexibility than others. Pallet Flow Racks – Pallet flow racking differs from push-back racking in the sense that it utilizes the first in, first out methodology. As a result, this type of pallet-racking system is considered ideal for the food industry. Drive-In Style Pallet Racks – For cost-effective, high-density storage, Drive-In/Drive-Thru pallet racking is often the best choice. Requiring fewer aisles, and providing better space utilization than standard selective pallet racks, Drive-In/Drive-Thru racking allows you to store up to 75% more pallets. Ultimately, there are a variety of systems you can implement in your warehouse to increase space that doesn’t include an expansion. Pay attention to your specific operational requirements and work with a material handling expert to find the best solution for you. Safety is important all over your facility, including in the warehouse. Identify a way for forklift drivers to report damage—when they see something, they need to say something. Pallet racks require regular inspection, and rapid reporting and identification are critical. Identifying, Repairing and Replacing – Adhere to the standards addressed by the American National Standards Institute/Rack Manufacturers Institute MH16.1. Don’t attempt makeshift repairs—they must meet all the requirements of the original installation. A professional will be able to address issues with columns, struts, footplates, beams, components, and frames to ensure the system is structurally sound and safe—or they will recommend replacement when repair is not feasible or practical. If you see something—say something. Your eyes don’t lie—damage to pallet racking systems is oftentimes visually identifiable. Uprights can become damaged, forklifts may cause torsion—no damage is too minor. When pallet-racking systems fail, people can die. Make sure your employees know how to report racking system issues when they see one. Conveyer & Caster in Cleveland, Ohio, has provided material handling solutions for more than 50 years. The team offers creative solutions for unique manufacturing and distribution challenges—and can assist with all your pallet-racking needs. Contact us today to learn more.